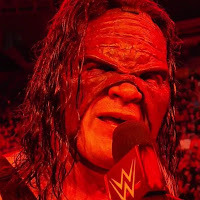 Glenn Jacobs is better known to WWE fans as Kane, but the citizens of Knox County, Tennessee will know him as Mayor. Today's election for next Mayor of Knox County, Tennessee turned out in Jacob's favor when he pulled in 67% of the vote. Early and absentee voting showed Jacobs leading over Democrat Linda Haney by a 2-1 margin. When all was said and done 29,209 citizens cast their vote for Kane. Jacobs announced his intentions to run for Mayor of Knox County Tennessee as a Republican in April 2017. He won the Republican primary election on May 2nd this year by only 23 votes and was expected to win the general election due to Knoxville's historically Republican population. Kane said he could live anywhere he wanted to, but he decided to stay in Knox County, Tennessee. His campaign focused on committing to keep taxes low, a renewed focus on the quality of education, and attracting new jobs to the area. "In my primary, I only won by 23 votes in that one, so every vote really does count and I want to make sure I get as many as I possibly can," Jacobs told WATE 6. "Since May, we've been knocking on doors, continuing that. We've also continued the process of meeting with department heads, school board, county commissioners, that kind of thing." Jacobs has operated Jacobs Insurance Associates in Knox County, Tennessee for a number of years while performing as a WWE Superstar.